How do you change a lock on a door? What type of door? Is this an outside door or inside door? Is the door made of wood, metal or a metal door with a wood core? Fresh or existing install? Is there already a lock on the door or will this be a fresh install on a new door or door that has never had a lock on it? What type of lock? Do you want to swap out an existing lock for the same type or is this an upgrade to a different style of knob, handle or lock? There are all kinds of new high-security locks and smart locks for the home with keypads and Bluetooth technology. Do you really need to change the lock? Many time you don’t need to replace the entire lock, you only need to replace the pins in the existing lock for it to work like new. This is called rekeying and can be done quicker and much more affordably that a complete lock replacement. 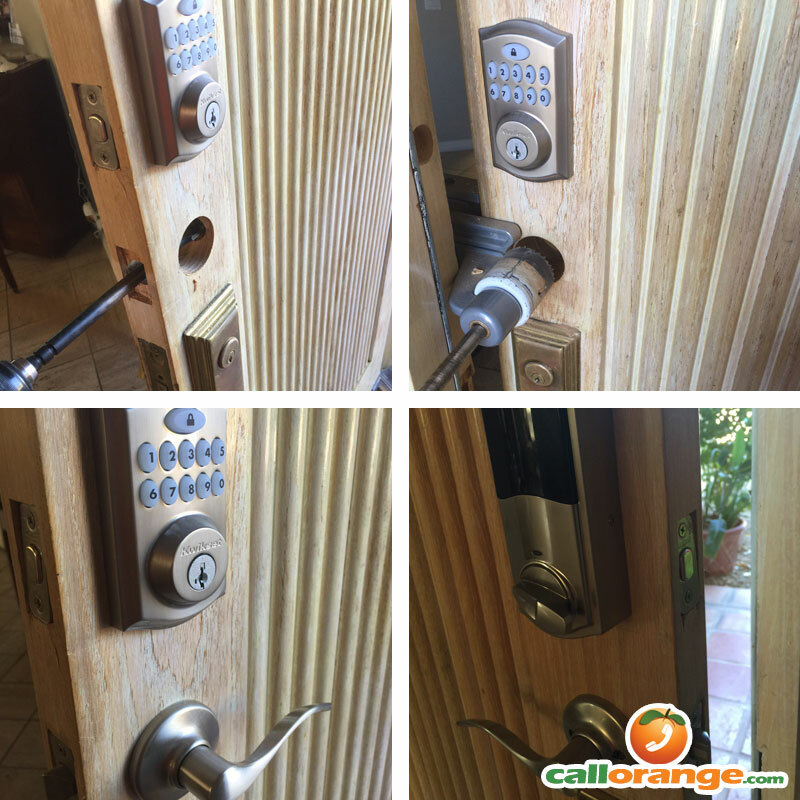 Smart electronic deadbolt and handle installation on wood door. When purchasing and installing a new locks on your home front door there are more things to consider. Technology has taken us beyond the simple know and deadbolt for home security. 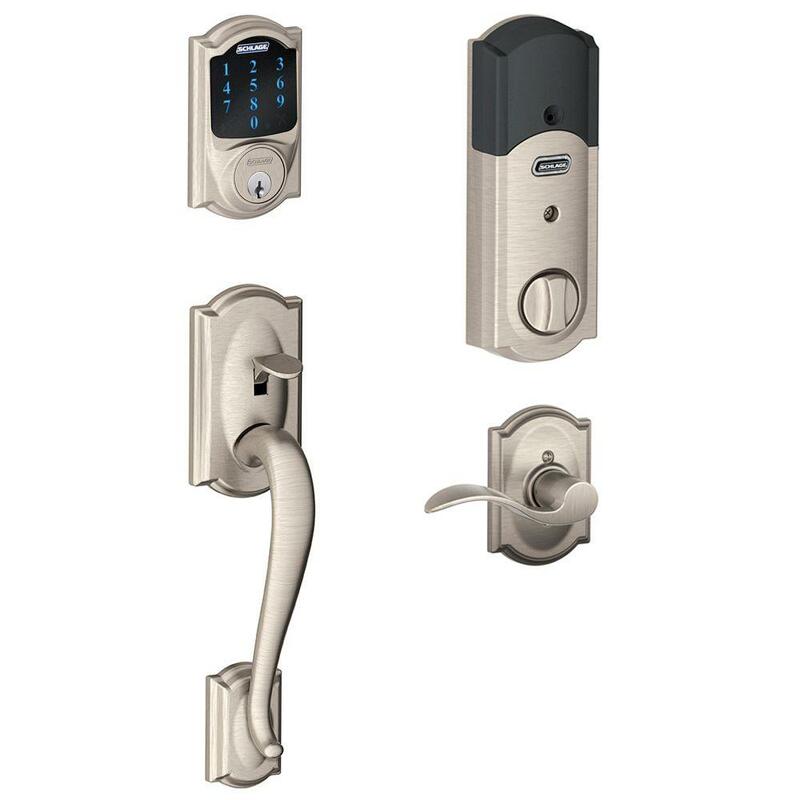 There are now smart home locks with programmable keypads and wireless entry systems. DO you have family, friends or guests that need to get into your home while away? You may want a programmable keypad lock with individual codes for each person with alerts sent to your phone anytime the code is entered. Hate fumbling with keys? You can get Bluetooth smart locks that work with your smart phone and automatically unlock when approached. And going beyond just the lock and handle; Need to see who is at the door whether your just in another room in your house or thousands of miles away on business? A doorbell camera with motion sensor can send you an alert and live video right on your mobile device wherever you are! Door handle with smart electronic keypad deadbolt lock. When you call us to have a technician come out to your home or business, these are some questions that you may want to consider ahead of time to help the process go smoothly. 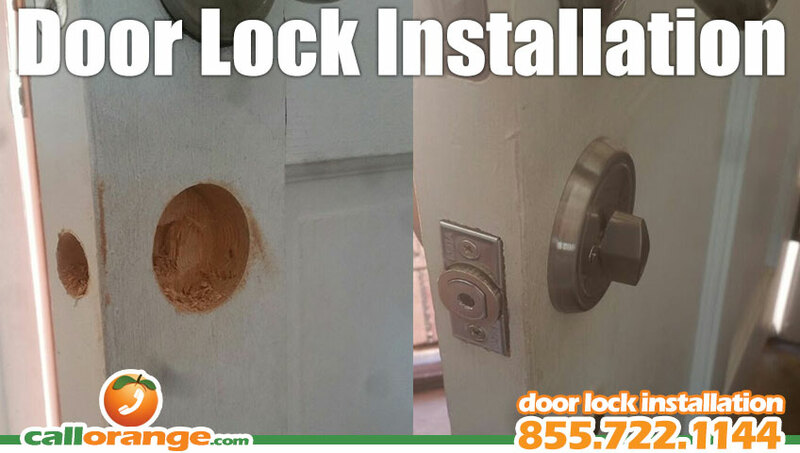 If you know what you want to do and what to purchase you can also buy your own lock and we can install it for you. If not, we can make a recommendation for you, purchase the lock, knob or handle and then install it for you. We’re available 24 hours a day, seven days a week to best fit your schedule and make all upgrades, repairs and installation at your convenience. Available 24 hours a day, seven days a week Nationwide!